Objective functional tests like the five-repetition sit-to-stand test (5R-STS) can supplement an objective dimension to conventional patient-reported outcome measures. The reliability of unsupervised obtainment of 5R-STS performance is currently unknown. 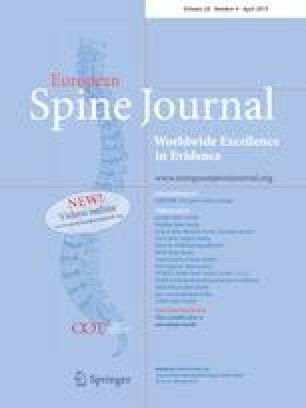 We included patients with degenerative pathologies of the lumbar spine. Patients performed the 5R-STS during the initial clinical visit (supervised), as well as at home after instruction by a physiotherapist. At home, patients were first timed by a relative (unsupervised) and subsequently produced a video recording of themselves performing the 5R-STS for digital measurement (telesupervised). Two raters independently assessed the recordings. One hundred and twenty-one patients were recruited, of which 100 were eligible. Eighty-eight reported unsupervised results. Sixty-four returned recordings, of which 61 were ratable. Both unsupervised (r: 0.94, 95% CI 0.91–0.96, p < 0.001) and telesupervised (r: 0.90, 95% CI 0.83–0.94, p < 0.001) measurements demonstrated excellent correlation with clinical test times. Patients did not perform more slowly at home (p > 0.05). The interrater agreement for digital judgement of the telesupervised recording was excellent (ICC: 0.996, 95% CI 0.993–0.998, p < 0.001). We confirmed convergent validity with self-reported disability, back pain, and quality of life (all p < 0.05), but not with leg pain (p = 0.189). Unsupervised at-home assessment using the 5R-STS is highly reliable. There does not appear to be a specific need for patients to return for a supervised 5R-STS follow-up. Rather, instructions can be provided, and the test performed and rated by a partner or family member at home. This is logistically and economically advantageous for patients, clinicians, and researchers. The online version of this article ( https://doi.org/10.1007/s00586-019-05897-3) contains supplementary material, which is available to authorized users. We thank Marlies P. de Wispelaere, MSc, for her efforts in clinical informatics. The authors declare that the article and its content were composed in the absence of any commercial or financial relationships that could be construed as a potential conflict of interest.